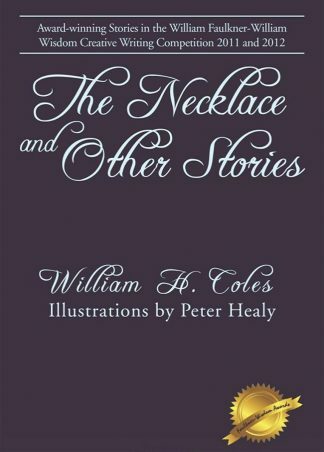 The “Illustrated Short Fiction of William H Coles” by William H Coles paints a vivid picture of various characters’ emotional struggles: Love, anger, hate fear, worry, joy, sorrow, and so forth. It’s a collection of thirty-three short stories, two graphic novels and a novella? each one presents a unique character in a particular social setting trying so hard to overcome a life challenge. -Eloquent and poignant – THE SHORT FICTION OF WILLIAM COLES (2000-2016) is a must read for lovers of literary fiction and classic tales of drama and the human experience/condition. This book falls into that rare group that tells unexpected and original stories that don’t rely on cliché’s or overused plot devices. The short story length of each one keeps you interested from beginning to end, and if you are like me you’ll find you just want to keep reading all the way through to the end. But there are over 30 stories here, including a longer novella at the end, and to my delight a few graphic novels which I haven’t read since I was a teen. I found some stories to be more impactful personally, but each were well executed and left me with a deeper sense of the world around me. A very solid effort from William Coles. (4 stars). -William H. Coles writes with a confidence and clarity that is rare to find in authors these days. The words just flowed off the pages, and I was easily swept up in the narrative prose. While these stories varied in length, they are all on the shorter side and can be easily read in brief amount of time which is great for someone like me who is able to read only in small spurts of time here and there. I like that I am easily able to finish a story (or 2) and see it wrap up. Even though I liked some of the tales more than the others, as to be expected I’m sure, each offered something worthwhile and stood out in a special way. Liked the illustrations as well. Nicely edited and I thought it was neat that the author threw in some different styles at the end as well. Recommend for older fans of literary/short fiction. (4 stars). -Exceptional writing and skillfully crafted, I thought “The Short Fiction of William H. Coles” was a delightful and eclectic collection of some of the more insightful stories I’ve read in recent memory. Definitely better than many other collections I’ve read before (some by famous big name authors, too!) IMO this book is worth the time and money (such a bargain!!!) and is a “Must Have” if you enjoy reading short stories. There were too many “favorites” to choose just one or two… probably at least a dozen were amazing (out of 30+ that’s not too shabby!!) (5 stars). -Awesome. Don’t read if you are looking for light and fluffy… but if you want flawed and troubled characters who speak to your heart and psyche and pull you into their worlds from the safety of your own, then dive right in. And each story is different, but they all have a familiar thread of love and loss, loneliness, changes, dealing with difficulties, etc… all with strong writing and gorgeous descriptions. Recommended for adults only (4-5 stars). -Read the whole thing and liked it… not sure which story was my favorite, maybe either the first one, or the last one (the longest novella)… but all were pretty interesting, and I was never bored or disappointed. Not sure if this is my favorite way to read a book— I think I just prefer more plot arc and longer stories (these average anywhere from 4-30 ish pages on my Kindle) but I can be sure that lots of people will enjoy it. 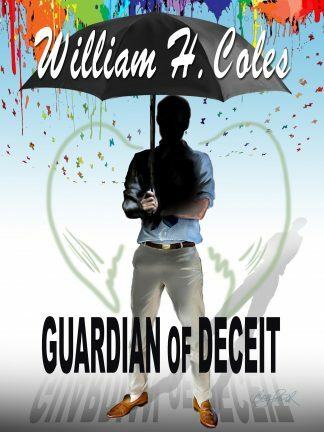 The characters, the descriptions, and the story elements are all quite powerful and the author Mr. Coles knows how to write about people in a way that few can. (3 stars). -Wow, I LOVED this book! OMG, I have been looking for a book like this for the longest time…. I’m so glad I found it! I love short stories as I have such a limited time to read these days and I like to be able to wrap it up in a single sitting. Unfortunately it seems that so many times the shorter fiction pieces fail to really capture enough of my attention and when the story is over it’s kind of a letdown. But almost without exception I thought these were all so good, and I almost with the author could continue to write even more about these fascinating characters! Sometimes I felt like we just got a small taste and it left me to wonder what happened to them next…Although their stories do tie up, so not sure how that could happen. Regardless, a GREAT read and I’m happy to have discovered this talented author! All of his books have been such a treat, I think. It has some heavier issues and scene that might bother very sensitive readers but it’s nothing too terrible. Just real. Recommend for mature fans of literary short stories (and graphic novels! Ha) (5 stars). -This is kind of a hard book to review since it’s broken up into different stories so it’s not like I can describe each one or rate them separately. Because some I liked, some I LOVED, and some where just okay for me… and there was one I didn’t like at all! (haha, can’t win em all!) But if I were to tell someone about this, I’d say that even if you don’t care for the plot itself, or what the story is actually about (or the decisions the characters make), you will still enjoy the narration and the scenery/descriptions (and conversations). There is a similar vibe throughout the book that makes it flow seamlessly from one chapter to the next, but like I said, I thought some parts more enjoyable than others, but of course that is just personal opinion and it is up to each reader to decide what he or she will like! Try it. (4 stars). -As a huge fan of William H. Coles’s other works, (I’ve read several of his novels before), I was interested to see if his short fiction collection would measure up, and deliver the same impactful experience I felt with the full-length books. I’m pleased to say that it was just as good, if not better in its own way. Instead of 1 amazing story I got 33! Again I was impressed with this author’s ability to write about something that may seem ordinary, but put an entirely unique perspective on it and really gets you to see the perspectives of the characters who are usually struggling, troubled, or flawed in some way. He is a very gifted writer and his stories are a treasure to read. Looking forward to more! (5 stars). -Another winner! 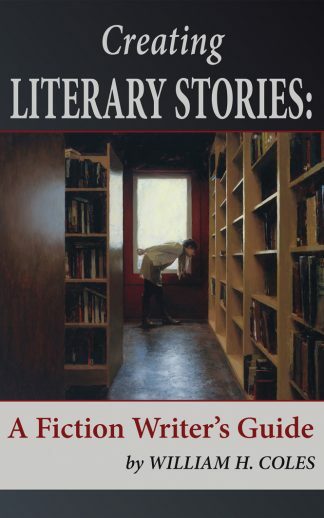 I’d read other works by William H. Coles so I knew I had to read this book, a compilation of some of his short stories, a few graphic novels, and a novella. Simply brilliant!! This collection is unlike anything I’ve read—dark and deep with a genius literary twist. The writing is complex at times, yet vivid and conveys great emotion without being over-emotional. The prose is surreal at times, frighteningly observant and blunt at other times. Once again I have to give this author the highest rating because he is by far one of the most talented that I have had the privilege of reading lately and I have truly enjoyed it all. (5 stars). -I really have enjoyed several of William H. Coles novels (if you haven’t read them, you should really check them out), so I had high hopes for this book “The Short Fiction of William H. Coles- 2000-2016” I have to say that while there was definitely some differences between this and his novels, most notably in the length, for some reason I think I liked this one even better than the novels, because we got to experience so much more… instead of having one dish to eat we had 33. Pretty incredible. Also I had that sense of ‘instant gratification’ in being able to complete an entire story in one sitting instead of weeks later. Mr. Coles is clearly a gifted writer; there is no doubt about that. But I thought some of these stories, and the fact that he can do it in a range of styles effectively—from stories ranging from a few pages, to entire novels, to graphic novels and novellas—nothing short of mind blowing. I feel like I could easily read this book again and get even more out of it the next time around. I can’t recommend this book highly enough. If you want to experience some top-tier writing with a darkly genius narrative that exposes so many hidden truths about humanity and human nature, this is the book for you. (5 stars). -I think what I like the most about reading William H. Coles’s books is how he can write about something that may seem quite ordinary or even simple, yet beneath the surface there are layers of subtext and hidden meanings. I would LOVE to see a book like this discussed in a college lit class, or maybe even a book club. Maybe it’s because I feel the need to talk about it with someone. Powerful, elegant, vivid writing coupled with a wicked imagination and fierce intelligence and astute insight on people and their ‘stories’ is a recipe for a book unlike any other that I won’t soon forget. Also read my first graphic novel here… I liked it! Highly recommend to fans of literary fiction and short stories, but even if those aren’t your usual genres you will probably be amazed by this book. I know I was! (5 stars). -I am a huge fan of short stories (and graphic novels!) of all kinds, and I thought “The Short Fiction of William H. Coles” makes more than a respectable showing in this genre. I commend the author for taking creative license both in narrative and creative techniques, combining many different methods that may be off-putting to some, but to me just added to the unique aspect of the book. Like with all of William H. Coles books that I’ve read so far (this is the 5th or 6th now, I believe) he has a remarkable ability to see inside people and their ‘lives’ and get us the reader to really experience conditions first hand that we never would otherwise. Almost like seeing life through a different set of glasses. These stories are brutal at times, heartwarming and inspiring and sometimes quite sad… but all touch on humanity in a way that is what literature is all about. Very good drawings/sketches that are lively and full of emotion. And the graphic novels at the end was a brilliant touch! Recommend for older readers due to mature themes and subject matter at times. (4-5 stars). Illustrated Short Fiction of William H. Coles: 2000-2016 by William H. Coles is an exceptional compendium of 33 short stories, two graphic novels, and a novella, a collection that offers a wonderful literary treat, beautifully told and brimming with exquisite beauty. “The Gift” introduces the collection, and it features a family conflict developed around an unwanted pregnancy. When seventeen-year-old Catherine gets pregnant, her mother, Agnes, has a clear plan for her. “Agnes kept her plan simple. After the birth, far away, an immediate adoption was the only solution, and after the town no longer remembered or cared, Catherine could return to live out her penance.” But Catherine has her own plans as well. And the child, born without feet, will transform her life in ways no one could have imagined. The Illustrated Short Fiction of William H. Coles: 2000-2016 is a magnificent collection of 31 short stories of varying lengths, two graphic novels, and one of his most popular novellas, Sister Carrie. And as we move from one story to another, the lives, hearts and souls of ordinary people like us are told in Coles’ straightforward, uncluttered style, where what people say and do to each other is more gripping and unforgettable than the most intricate plots ever written. What’s it like to be raised Amish and then dare to fall in love with someone outside the community? What’s it like to have to deliver a eulogy for those you can barely tolerate when their families are grieving the loss of their loved one? And who will give a stillborn child, seen as and thought of as a “thing,” some kind of burial? Stories such as these will keep us glued to The Illustrated Short Fiction of William H. Coles: 2000-2016. “Award-winning short stories of characters facing moral decisions that stretch their lives to mirror who they are and what they might become” is how this book has been described on Cole’s website, “Story in Literary Fiction.” That sums The Illustrated Short Fiction of William H. Coles: 2000-2016 perfectly. As a reader, Coles’ collection has reminded me of why and how literary fiction differs from popular fiction. It’s a reminder of why, as students in the sixties, we studied writers like Charles Dickens, Gustave Flaubert and Emily Bronte: plot mattered but character mattered more. But on a personal note, as a writer, for me The Illustrated Short Fiction of William H. Coles: 2000-2016 has opened a whole new world of possibilities. I can no longer look at the drunk passed out in a doorway downtown, or listen to the irritated voice of a customer service advisor, or watch a now disfigured young woman with the voice of an angel on America’s Got Talent who was one of only two who survived a horrific plane crash without wanting to know their story. Better yet, I am inspired to write such stories one day, and can only hope to do so as beautifully as William H. Coles has written these. I have read many books on how to write, but I’ve learned much more about writing by reading The Illustrated Short Fiction of William H. Coles: 2000-2016. Thank you, William H. Coles, for your inspiring and motivating stories that have touched this writer/reviewer so deeply. Illustrated Short Fiction of William H. Coles: 2000-2016 by William H. Coles is a collection of short stories, graphic novels and a novella that all grapple with the idea of humanity, human errors, and how every human perceives a situation differently. Sometimes the stories are about counting your blessings and being happy with them, and sometimes the stories are about the trials and tests that humans have to go through. These stories are wholesome, entertaining and complete, giving you a fulfilling feeling. This book has a total of 33 short stories and all of them have their own characters, with their own flaws and their own wars to win. 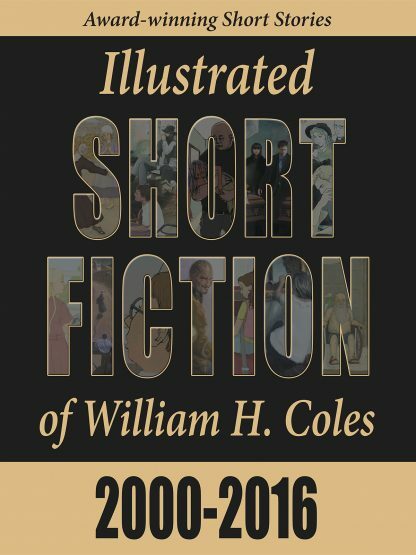 Illustrated Short Fiction of William H. Coles: 2000-2016 by William H. Coles is a collection of short stories about people from all walks of life and ages. This book is extremely well written and, along with short stories that comprise a big chunk of it, it also includes a novella about two people from different backgrounds and ethnicities and their mutual relationships, along with a couple of graphic novels. 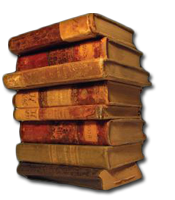 The short stories come with illustrations and each one stands independently of the others and can be read in any order. The Short Fiction of William H. Coles 2000-2016 is a collection of 33 short stories, a novella and two graphic novels. Illustrations enhance each story, supplementing the readers experience and understanding. Peter Healy wonderfully illustrated the two graphic novels, which are the retelling of previous short stories in the collection. Nine short stories about American life, unrequited love, familial distrust, and unfair parental control, and a novella where cultures clash and humans survive with caring and selflessness overcoming the default of violence and destruction. Each story rich with unique characters proving they have the will to survive life's most difficult obstacles, and discover their own capabilities to affect their own destinies. Award Winning Stories in the William Faulkner-William Wisdom Creative Writing Competition 2011 and 2012. The Necklace - Two couples on tour find new meaning in their lives after the theft of a precious necklace. The Golden Flute - Two women with declining allure fight for supremacy for the men in their lives. The Amish Girl - A girl and boy in love challenge diverse cultural values. Dr. Greiner's Day in Court - A young girl comes of age when her father is charged with murder. The Cart Boy - A store manager befriends an employee. Big Gene - A black piano player infiltrates the KKK in the cultural wars of the seventies. Grief - A mother grieves her former boyfriend and sees her daughter in a new light. A grandmother helps her grandson maneuver in the custody battle of his parents. Father Ryan - A Catholic priest confronts lust. Sister Carrie - Forced by circumstances to mother her younger sister, Jessie Broward learns the meaning of love when her sister marries a foreigner.